Most doctors don’t start earning a living wage until their 30s. Four years of undergrad, four years of medical school, three-to-five years of residency – that’s more than a decade of higher education before their first real job. Not to mention the tuition costs. On the other hand, doctors rank among the top earners of all professionals. As a result, financial planning for physicians is a unique practice. 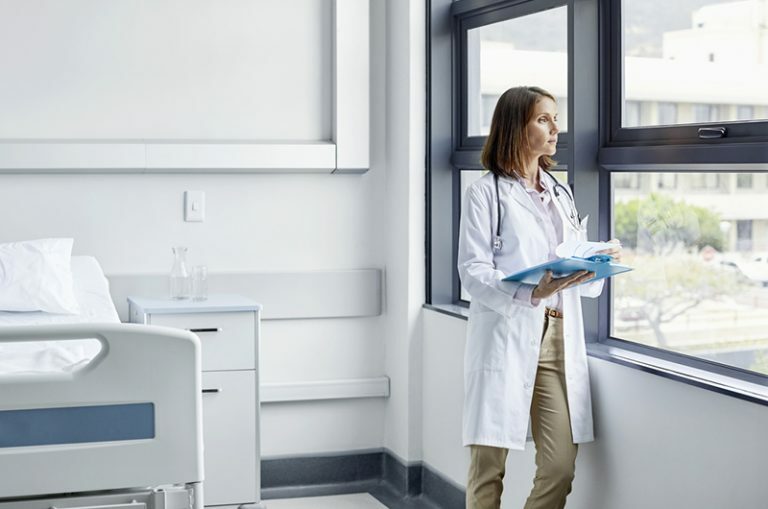 Managing debt, starting a family, buying a home, saving for retirement and the cost of malpractice insurance are just a few of the considerations that impact a doctor’urney. For purposes of examination, let’s look at a doctor’s financial lifecycle as three stages: Residency, The First Five, and The Prime Time. Following is the third in our series, examining issues that govern stage three. You’ve set your financial foundation during the first five years after residency. Now that your loans are paid off, you are saving adequately for retirement and you are properly insured, you might find yourself with some extra income and looking for suggestions on what to do with it. You should now have the resources to splurge a bit. A growing family may lead you to consider moving to a larger home or buying a vacation property. Even if you have the resources to pay cash for either, it would be wise to consult a financial advisor on making a down payment and borrowing the rest, in particular if the low-interest rate environment continues. Given a low rate and the tax deductibility of interest, it might make sense to carry a mortgage and invest any extra earnings. If you plan on paying for all or part of a child’s education (private primary, private high school, or secondary), it would make sense to start a 529 Education Savings Plan. The benefits of a 529 plan include tax sheltered investment earnings, a possible state tax deduction for those who contribute to it and a vehicle to accept gifts from parents, grandparents, godparents, etc. The funds and investment earnings in the account can be withdrawn tax free if used for primary, secondary and graduate education expenses such as tuition, fees, books, supplies, computer-related expenses and even room and board for someone who is at least a half-time student. It is a fairly flexible account in terms of beneficiary designation, which allows for it to be used for various family members and can be a great estate planning tool for parents and grandparents in terms of gifting. After maxing out your 401k and making “back door” IRA contributions, it is important to consider taxes when investing any remaining savings. There are numerous techniques that can be used to reduce your overall tax liability when it comes to investments, including: AMT efficiency, minimizing fund distribution exposure, tax loss harvesting, capital gain management, investing in tax-exempt securities (municipal bonds), and asset location strategies. A Certified Financial Planner™ with the proper education and background can help you invest in a tax efficient manner. After you have built a solid financial foundation and have some excess earnings available to invest, consider “alternative investments” such as investments in private equity, hedge funds, managed futures, real estate, commodities and derivative contracts. Due to certain income and net worth requirements, doctors and other high earners have access to these investments that most do not. They carry more risk, but with more risk there should be greater return. It might make sense to allocate a portion of your overall portfolio to alternative investments in order to maximize your overall return. These types of investments are typically offered only through registered financial firms and you would want to consult a financial advisor to help you choose the right alternative investments for you. With the ability to earn more money, there comes additional financial responsibilities, all of which become more complex and complicated. There is no template for physicians telling them what to do. However, I hope you’ll find the principles and explanations in this series of articles will help you make some of those decisions. Investment advisory services are offered through HBK Sorce Advisory LLC, doing business as HBKS® Wealth Advisors. Insurance products are offered through HBK Sorce Insurance LLC. NOT FDIC INSURED – NOT BANK GUARANTEED – MAY LOSE VALUE, INCLUDING LOSS OF PRINCIPAL – NOT INSURED BY ANY STATE OR FEDERAL AGENCY.